Wine Down Ranch is a small, family run working ranch operation. Our primary crops are hay, beef and timber, with a dash of hospitality thrown in. So when we decided to host the Moonshadow Festival to celebrate the National Solar Eclipse coming overhead in August, it was important to us to build our festival using the same values and hard work that we put into our ranching business. My family has always had a strong sense of wanting to share the beauty of the ranch and our lifestyle with others. That was our main reason for becoming hosts on Airbnb three years ago, making our little bunkhouse available to those who want to explore Central Oregon, unplug and “wine down,” and inviting tour and activity groups to come and explore our 2,100 acres of timber and ranch land. With Moonshadow Festival, it is no different. Wine Down Ranch is a prime location to view the solar eclipse in its “Path of Totality” on August 21st. From our wide open pastures to the high ridge where the moon’s shadow will cross the landscape, viewing the eclipse will be spectacular. We are blessed to call this our home! In that light, we want to share our ranch, our hospitality, and this gathering of people from far and near with all those seeking this once-in-a-lifetime experience: seeing the total Solar Eclipse under our famously clear and dark Central Oregon skies. Like you, we’ve seen the headlines about the crush of people coming to Central Oregon on Eclipse weekend, and we’ve heard the stories about everyone from hotels to property owners trying to max out prices to get a slice. During a planning session last weekend with my daughters (this is after all a family business! ), we made a decision that we’re proud to share. As we see it, the best way for us to represent the community is to drop our camping prices and offer discounts for families with juniors and children. By ensuring Moonshadow Festival is more affordable, those who want to experience the eclipse can be part of this awesome weekend at Wine Down Ranch. If the ticket prices are outside of your budget, please consider joining our volunteer team for the festival weekend. We will need many hands to make the event run smoothly, and will be exchanging a campsite and festival ticket for your help. Information can be found on the Volunteer page. Groups who volunteer at Moonshadow Festival will have the opportunity to fundraise through the event, as well as earn service hours. Please email me directly if you are interested in having your group volunteer. Join us in Wine-ing Down at Moonshadow Festival August 18th through 22nd. We can’t wait to welcome you here! Moonshadow Festival offers four days of live music from Oregon bands playing bluegrass, folk, country and classic rock, including a hoedown dance and instruction as part of the traditional Western theme. Portland bands Crow and the Canyon, The Talbott Brothers and There Is No Mountain headline four days of music at Moonshadow Festival, organizers have announced. The musical lineup also features Wayward Soul, Papa Smoke, Fun With Jo, Carinne Carpenter, Jensen Graham, and the Bottom of the Barrel Band, who will play a hoedown dance taught by Ron Bell-Roemer the afternoon of Saturday, August 19th. Moonshadow Festival is hosted by Wine Down Ranch near Prineville, Oregon to celebrate the 2017 National Eclipse. Moonshadow Festival will take place August 18 to August 22, 2017. Opportunities to view the total Solar Eclipse on August 21st include open views from the festival grounds and an optional two mile hike to the ridge on Wine Down Ranch. 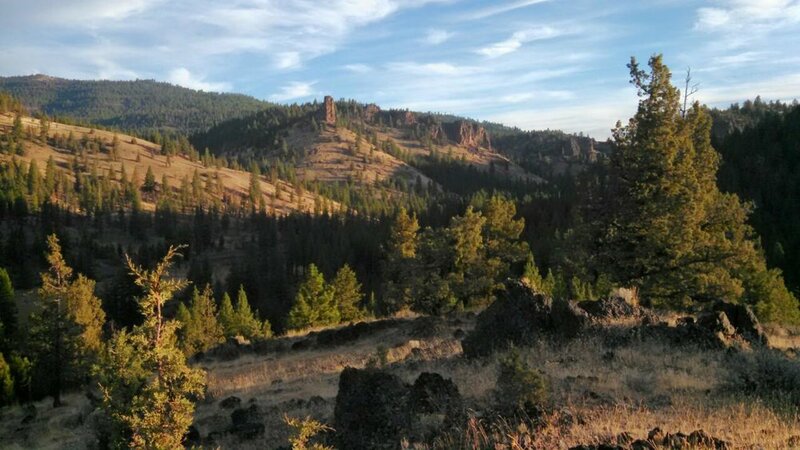 Viewers will be able to see the moon’s shadow as it crosses the neighboring Ochoco National Forest and the Crooked River Valley, casting the sky into nearly two minutes of total darkness. Glasses for safe viewing of the eclipse will be provided with camping passes and Monday day passes. A screening of the documentary “Unbroken” at dusk will be part of the festival kick-off Friday evening, preceded by a live set from Fun With Jo. Western writer Rick Steber, award-winning author of over thirty books, will take the stage Saturday evening for storytelling while several other cowboy and ranch demonstrations are planned over the four-day festival. An artisan market and food vendors will be open throughout the weekend for festival-goers, as well as local beers and wines for guests ages 21 and over provided by Bigfoot Beverages. Live music yoga, featuring Will Dudley of Portland, kicks off daily activities on Saturday and Sunday mornings (August 19-20) while guests of all ages are welcome to participate in a poker hike on Saturday and explore marked hiking trails across the ranch’s 2,100 forested acres during their stay. A guided hike will be offered to see the solar eclipse on Monday, August 21st from a ridge at 4,400 feet on the Wine Down Ranch, and an Open Mic stage on Monday afternoon gives festival-goers a chance to be part of the entertainment and celebration. Stargazing will be offered nightly to experience Central Oregon’s famously dark skies. Moonshadow Festival offers four-night outdoor, dry camping for tents, trailers and RVs and single-day visitor passes for guests coming from near and far. RV camping passes are $600 per vehicle (up to two people); additional persons can be added for $200 each. Tent camping passes are $250 per person, with no set limits on tent size or space. Day passes can be purchased in advance for $50 for adults, $25 for juniors ages 11 to 17. Children ages 10 and under are free for camping or single-day admission with a paid adult. Daily parking is $10 or weekend parking is $25. A portion of event proceeds will benefit MountainStar Family Relief Nursery in Central Oregon and The MISSIO Project. Festival gates open at 3:00 p.m.
Additional activities will be announced at MoonshadowFestival.com. Moonshadow Festival is actively seeking sponsors, artists, vendors and volunteers to participate in the weekend event. Email festival organizers for more information. 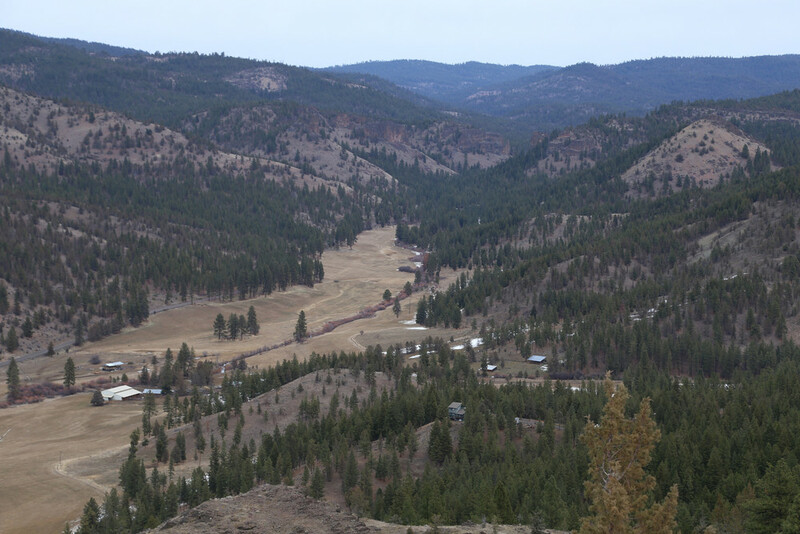 About the Wine Down Ranch: A family-owned working cattle ranch, Wine Down Ranch is nestled against the Ochoco National Forest, eleven miles northeast of Prineville. Since 2014, guests have enjoyed staying in ranch cabins to “wine down” and explore Central Oregon. Here at the Wine Down, we aren’t afraid to dream big. It’s not everyday that empty nesters leave their hometown to take on 2,100 acres of timber, cows, and hay farming as a “retirement” project as my parents did. So when I uprooted my conventional post-college life to follow my feet on the Pacific Crest Trail, I wasn’t at all surprised that they led me back here to the Ochocos and the unreal beauty of the canyon right outside our front door. The landscape stole my heart. I had to jump in on my family’s ranching dream. The thing about a really good dream is, it never comes easy! Even now with three sets of hands working on the ranch, we have more than enough work to fill our time. Happiness comes in the form of 300+ annual days of sunshine, green fields, healthy forests and a hard day’s work in the fresh high desert air. (Not to mention any excuse to chug along on a tractor!) This year, we take on a different kind of grassroots growth for the ranch: producing a festival! Moonshadow Festival originated with my mother, Mary Beyer. When she agreed to become a rancher with my father, she also brought a vision of turning what was previously Demaris Ranch (named for the family that held the land for 3 generations) into a guest ranch. Married with her passion for wine (her Italian roots run deep) and her love of being an impeccable hostess (AirBnB reviews don’t lie), the Wine Down Ranch was born a destination for anyone looking to “wine down” and enjoy this beautiful slice of creation. Toss in a major celestial event and the chance to share our land, and it felt like a vocation to celebrate the National solar eclipse in August with a festival that many can experience. I will take some credit, though. I DID come up with the name. A great thing about tending land like this is, even when you have months of event preparation to cram into one dwindling summer, ranch work always needs doing when it needs doing. May is the start of our irrigation season, and though we got a boon with the wet winter, the water here never lasts too long. We need to capture what we can to produce the best hay for our livestock. For us, that means preparing the ditch irrigation system that waters our fields. As we let the first waters run through the irrigation ditches while raking out the cattails, grass and debris, I was blessed by the sight of the water. We don’t take a gift like this for granted in the desert, and before we know it, it will be gone again ‘til next season. But for now, let it flow! As the sun gets heavy on the horizon, I find myself gazing down at the beautiful slope that will soon provide the footing for our new friends and fellow eclipse-chasers to enjoy a weekend of sun, music, dancing, laughter and wonder. People will come together. Memories will be made here. Wild Ochocos as our backdrop, starry heavens our canopy, beauty will surround and move through us all. Organizers are announcing the Moonshadow Festival, hosted by Wine Down Ranch near Prineville, in celebration of the total solar eclipse event happening this August. Moonshadow Festival will take place August 18 to August 22, 2017, with the solar eclipse happening in totality during the 10 o’clock morning hour of Monday, August 21st. The festival offers 4-night outdoor, dry camping for tents, trailers and RVs, and single-day visitor passes along with food and drink vendors, artisans, a farmers’ market, yoga instruction, plein air paint and sip classes, and four days of musical entertainment. Working ranch demonstrations, cowboy storytelling, farm tours, guided hikes and stargazing add to the authentic traditional Western ranch experience. Opportunities to view the total Solar Eclipse on August 21st include open views from the festival grounds and an optional 2 mile hike to the ridge on Wine Down Ranch. Viewers will be able to see the moon’s shadow as it crosses the neighboring Ochoco National Forest and the Crooked River Valley, casting the sky into nearly 2 minutes of total darkness. Glasses for safe viewing of the eclipse will be provided with camping passes and Monday day-passes. Moonshadow Festival tickets are on sale at moonshadowfestival.com. Camping passes are valid for all four nights of the festival. RV camping passes are $600 per vehicle, which includes admission for two people; additional persons can be added for $200 each. Tent camping passes are $250 per person. Children ages 10 and under are free with a paid adult. Day passes can be purchased in advance for $50 per person. Daily parking is $10, or festival parking is $25. Gates will open at 3:00 p.m. on Friday, August 18th for camping setup, and close at 12 p.m. on Tuesday, August 22nd. Day pass holders will be allowed entry at 8:00 a.m. on Saturday and Sunday, and 6:00 a.m. on Monday, August 21st. A full schedule of events will be posted on winedownranch.com and Wine Down Ranch on Facebook when it becomes available. Moonshadow Festival is actively seeking sponsors, artists, vendors and volunteers to participate in the weekend event. Contact us for more information.